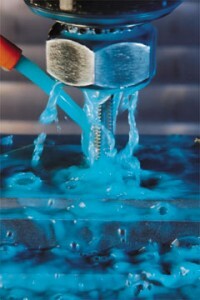 Master Chemical machine fluids are widely considered among the best performing industrial coolants available for cutting and grinding operations, and CRC Inc. of Texas makes these products available to businesses throughout Fort Worth, Texas, and other nearby cities in the Lone Star State. The semisynthetic and soluble oil fluids we offer through Master Chemical’s TRIM line are ideal to meet the demands of several specialized industries, including automotive and aerospace manufacturing operations, and can help lead to longer tool and sump life as well as deliver better finished parts. To learn more about our selection of Master Chemical machine fluids and the benefits of partnering with CRC Inc. of Texas, please contact us today. We proudly serve businesses throughout Fort Worth, TX, and the surrounding area.